Zahid oh Zahid, you’re as stupid as they come and you’ve killed it for yourself! Don’t know how to manage Erm-No? Don’t bother, Erm-No is already dead and you cannot flog a dead horse back to life! IT was not merely a courtesy call. 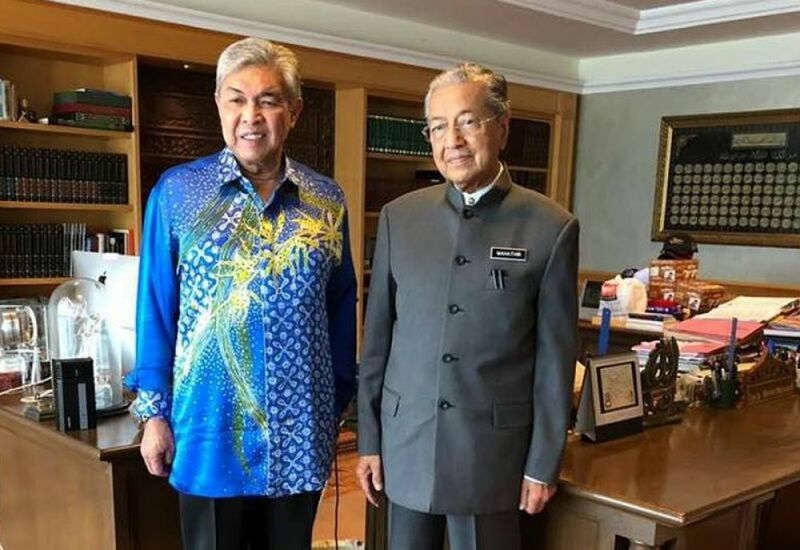 It was to seek advice from a former Umno leader on how to run the party.This was what Ahmad Zahid Hamidi’s visit to Prime Minister Dr Mahathir Mohamad yesterday was all about. “He wanted my advice on how to administer Umno following the party’s major defeat in the 14th general election,” Dr Mahathir was quoted as saying in Sinar Harian. The former Umno president was explaining a photograph showing him and acting Umno president Zahid, which had gone viral. Zahid, who uploaded a photo of the two on Facebook, said the meeting was in conjunction with Ramadan. “He wanted to know how to administer Umno. So, I told him directly that Umno had betrayed the Malays. I reminded him that we formed Umno to help the Malays but Umno had changed and prioritised wealth of individuals instead. “That is why Umno is hated now. It is hard for Umno to recover. It used to be glorious, but now it is disgusting,” Dr Mahathir told the Malay daily. The 92-year-old prime minister, however, did not respond when asked if Zahid had met him for the purpose of joining Pakatan Harapan. The prime minister simply said: “We do not look for anyone who wants to join Pakatan Harapan, especially Bersatu. If the individual is a politician, he or she has to leave the party, be independent and pledge to support the government,” he said. – June 8, 2018.